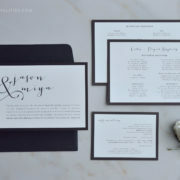 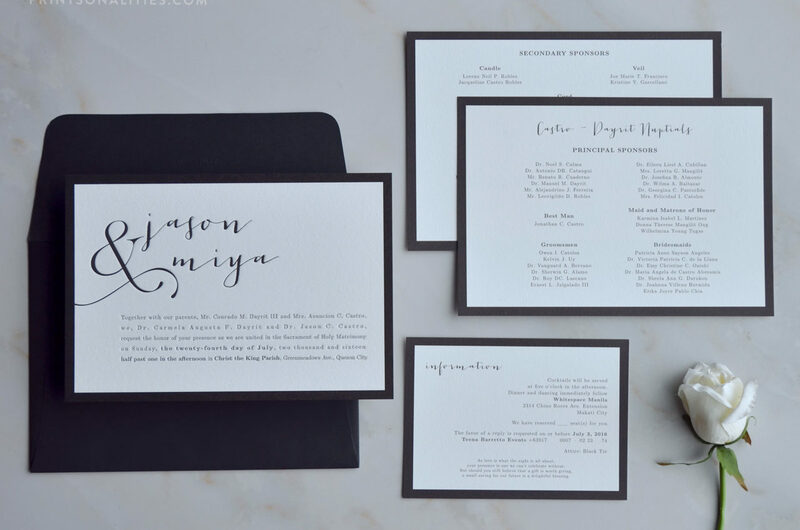 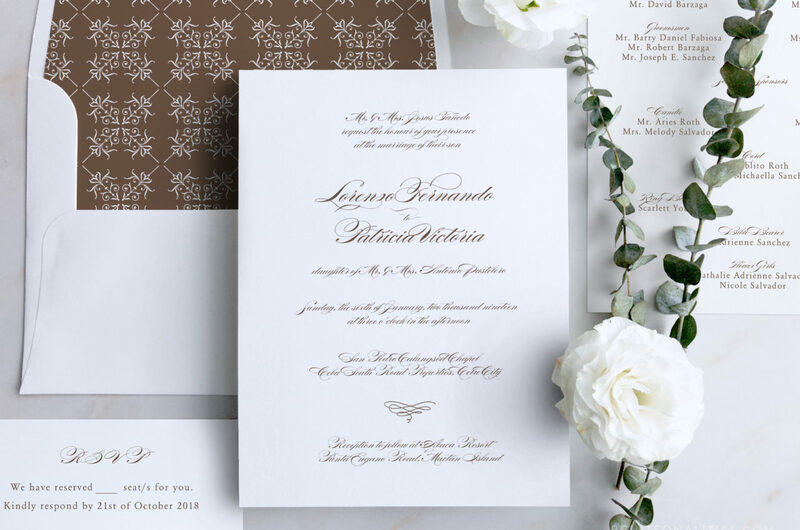 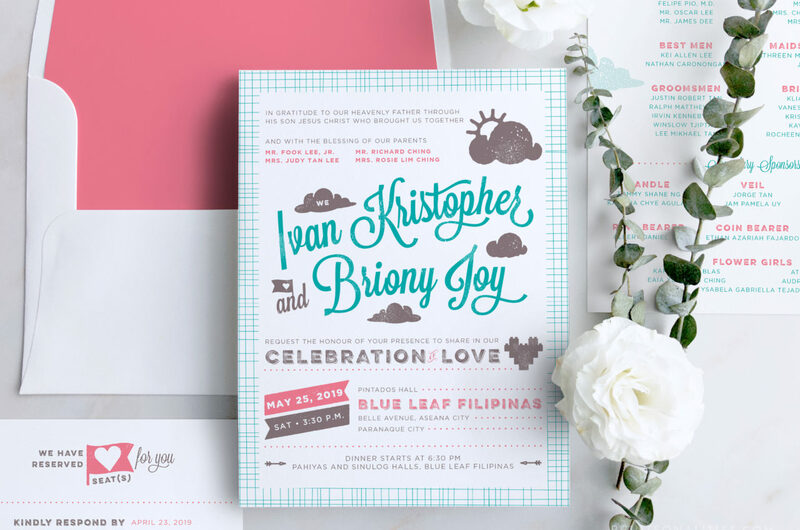 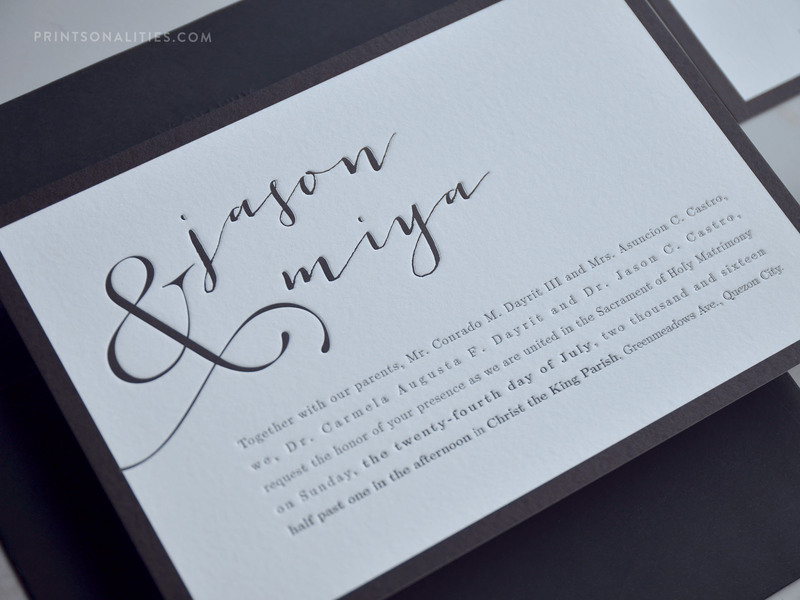 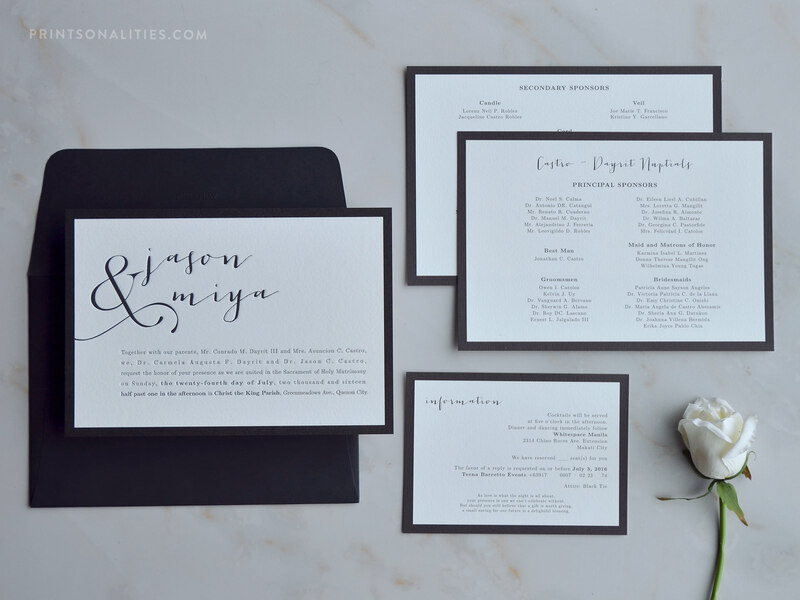 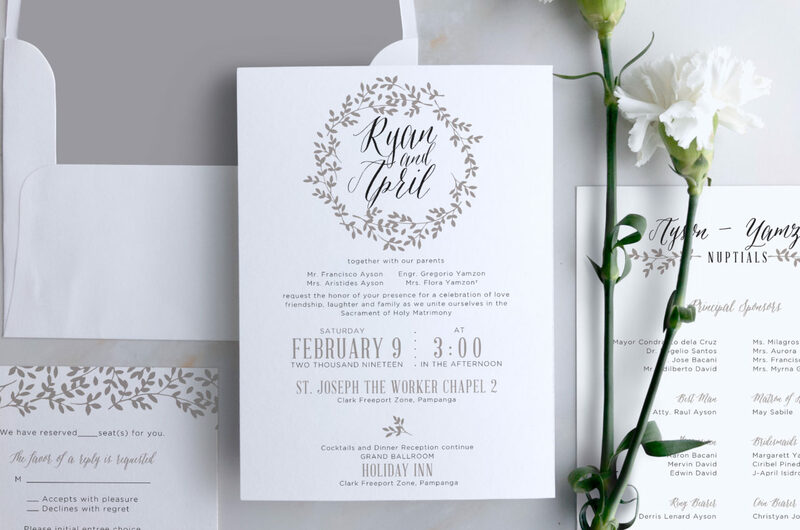 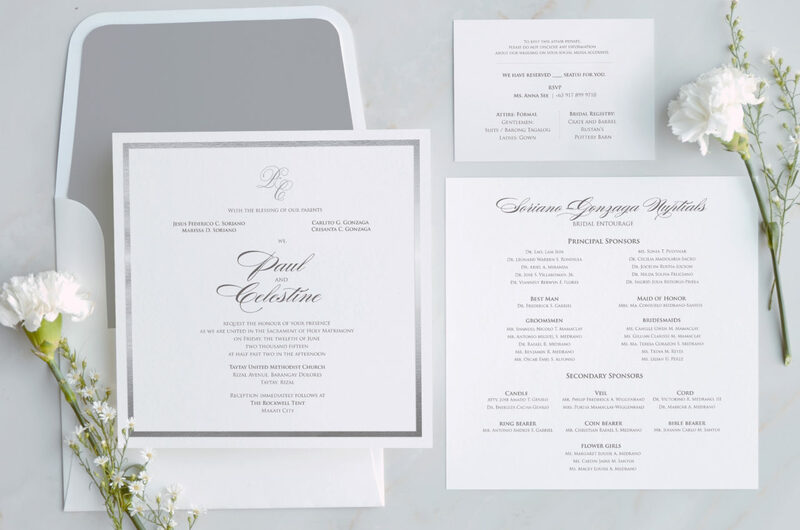 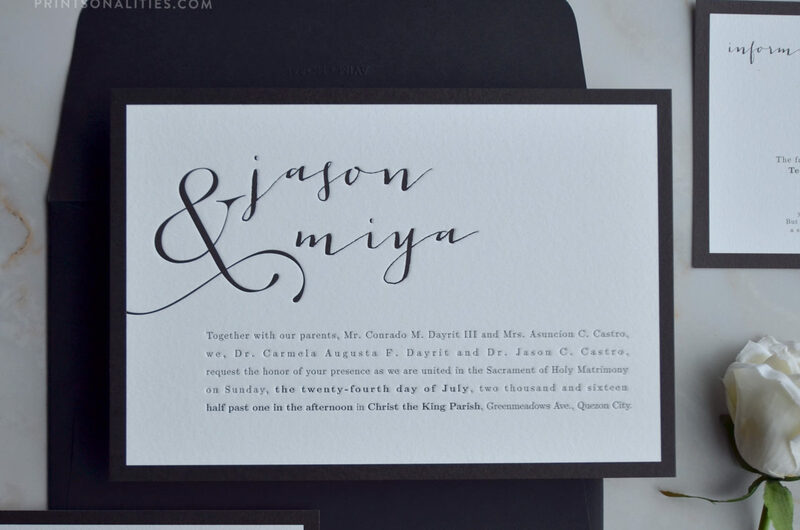 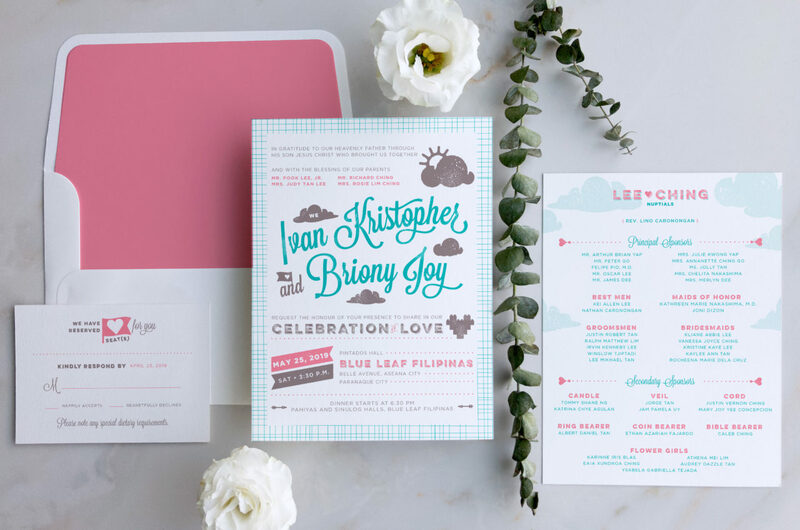 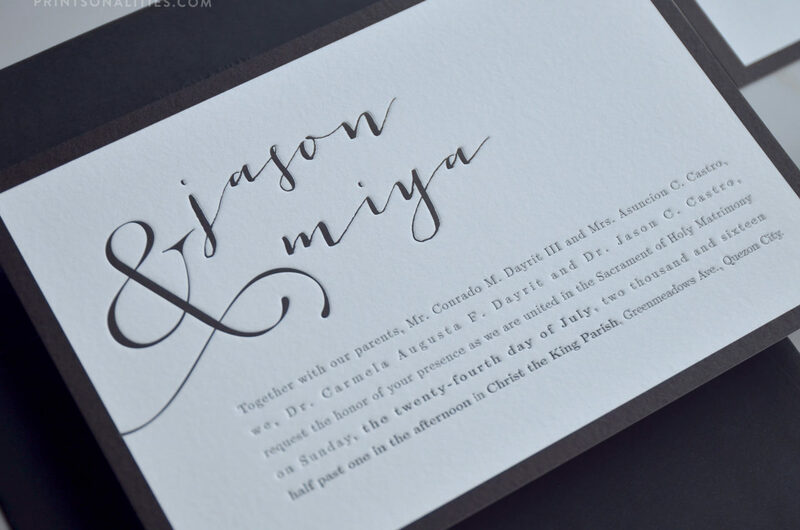 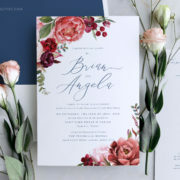 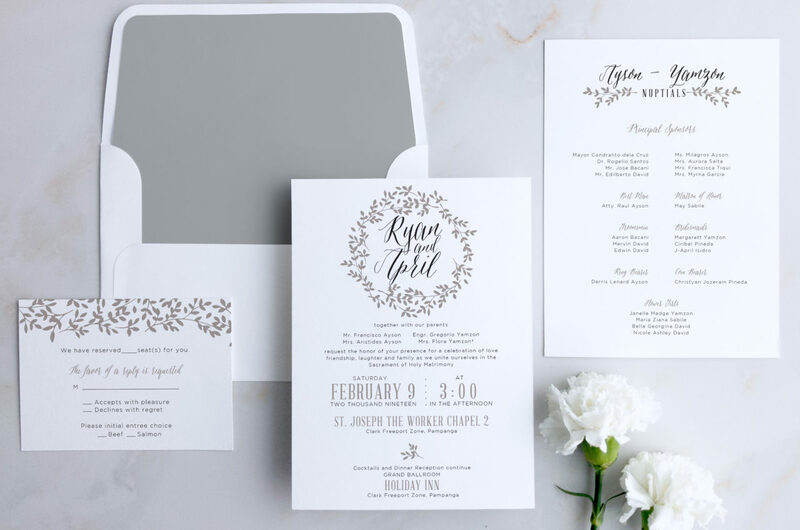 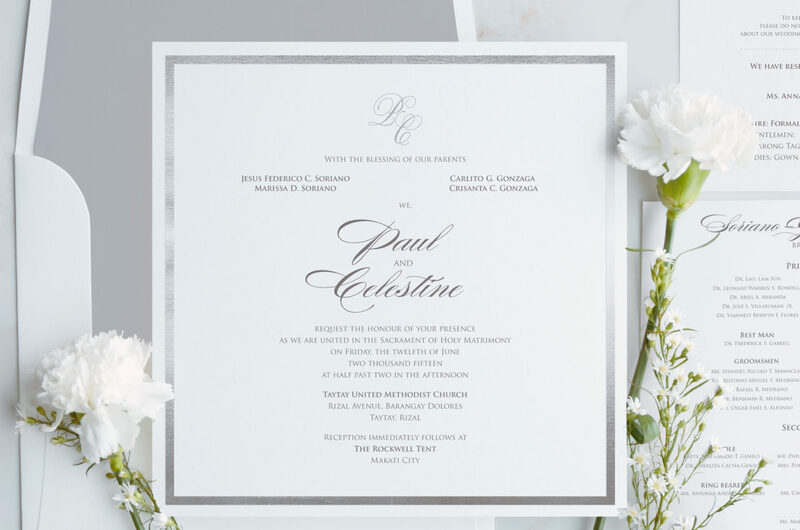 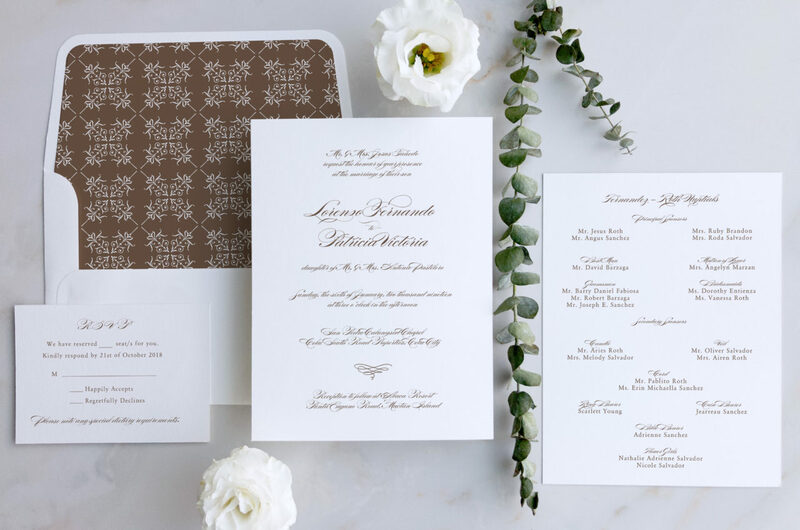 A simple black and white wedding invitation design that has a bold black border for all of the cards in breathtaking letterpress for the main invitation. 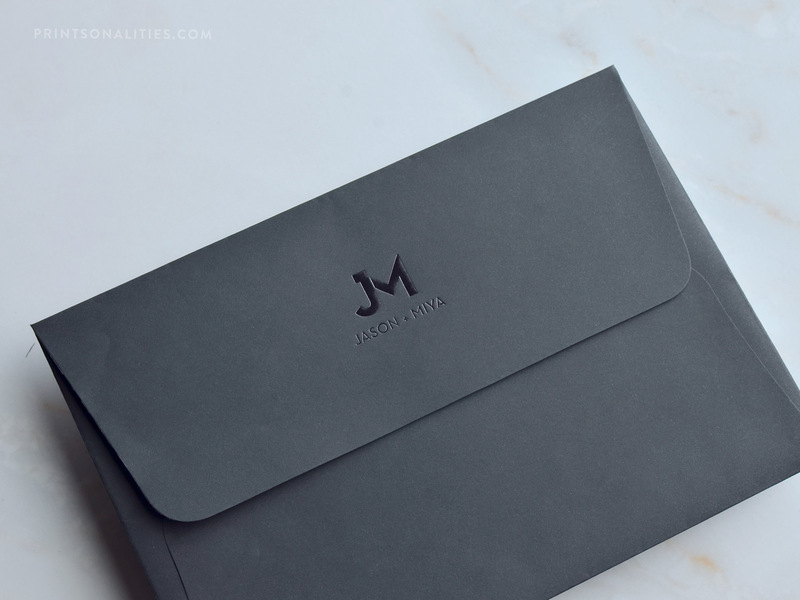 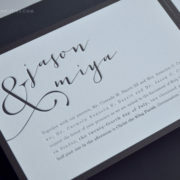 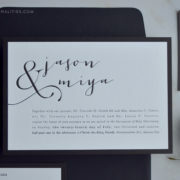 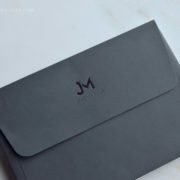 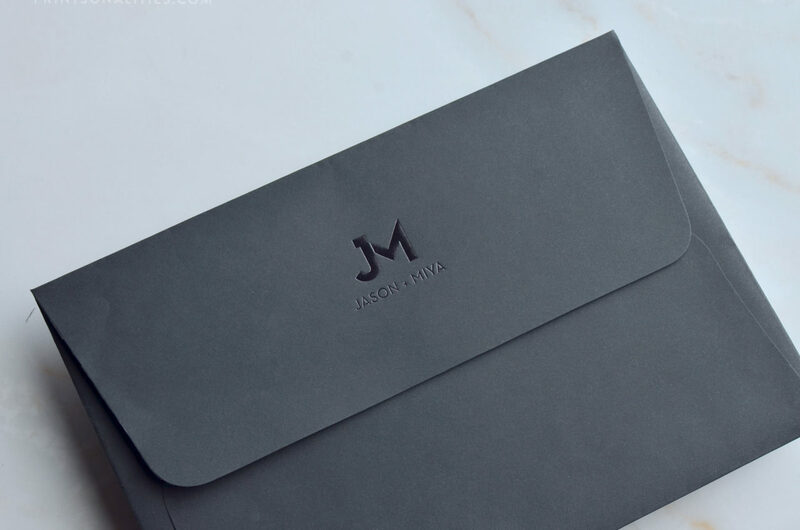 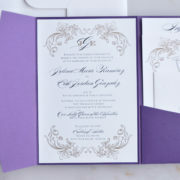 The black and white theme extends to the black envelope with a stunning black foil stamped monogram on the envelope flap. 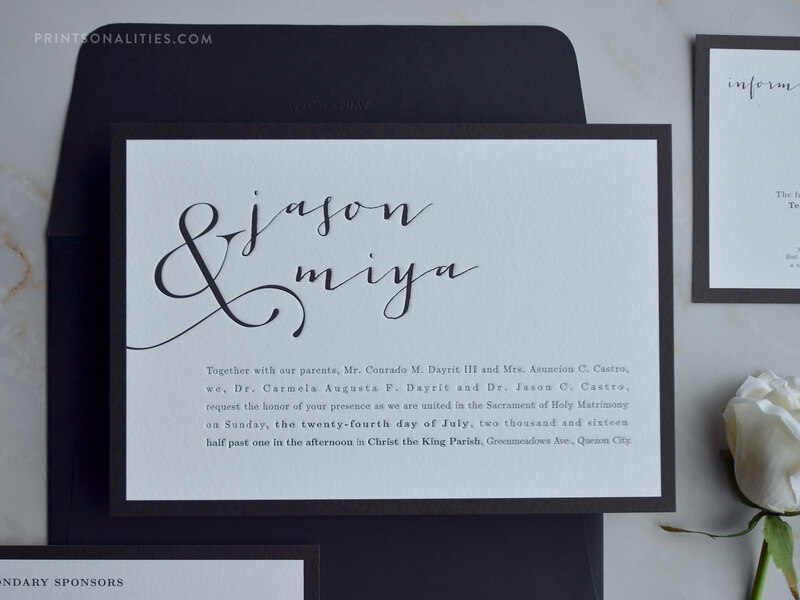 Black on black never looked this good.